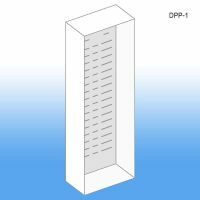 Corrugated Floor Merchandisers, Stock Retail Displays, Clip Strip Corp.
We carry a growing line of stock corrugated retail store temporary displays. 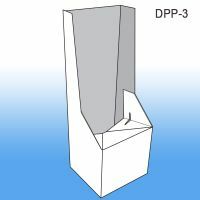 There are many more in development but included in this Clip Strip Corp. category are a floor power panel display, and 3 sizes of dump bins that can work for different sized product, all for your promotional needs at retail. One company, Lola Products®, a cleaning tools provider, a respected cleaning tools Consumer Products company uses our Corrugated Power Panel Floor and End Cap Displays to introduce fast moving promotions for supermarkets to turn product very quickly, we strongly suggest you take that approach when appropriate. 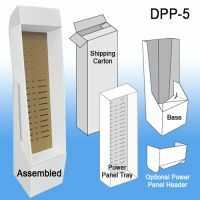 Minimum quantity for "Corrugated Floor Power Panel Full Display Kit, DPP-5" is 1. 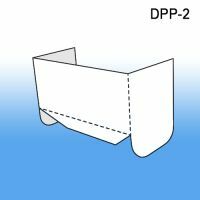 Minimum quantity for "Corrugated Power Panel Tray, with Two Adjustable Shelves, DPP-6" is 1. 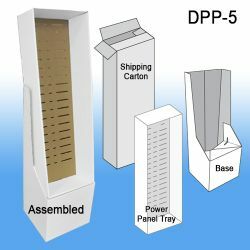 Assembled size is 41-1/2" x 14-1/4" x 7-3/4"
Minimum quantity for "Corrugated Floor Power Panel Display Base, DPP-3" is 1. 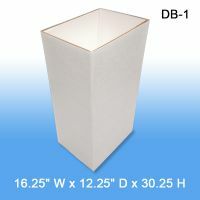 Minimum quantity for "Small Corrugated Dump Bin Display, DB-1" is 1. 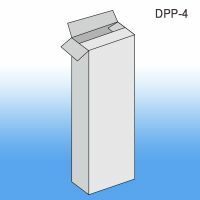 Minimum quantity for "Corrugated Power Panel Display HEADER, DPP-2" is 1. 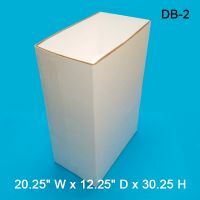 Minimum quantity for "Medium Corrugated Dump Bin Display, DB-2" is 1. 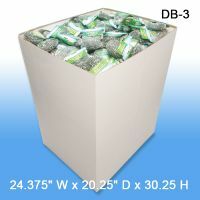 Minimum quantity for "Large Corrugated Dump Bin Display, DB-3" is 1.